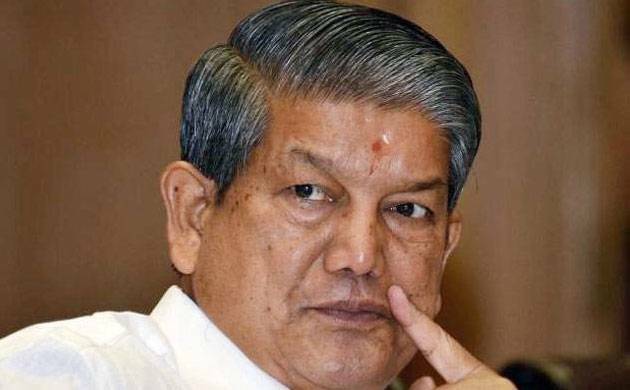 As Chief Minister Harish Rawat lost one of the two seats he contested and trailed in the other, the BJP on Saturday said it was a complete rejection of his leadership. “While Rawat has lost by over 12,000 votes in Haridwar (rural) already, he is heading for a loss in Kiccha as well, though with a narrower margin. This is a complete rejection of his leadership,” Pradesh BJP spokesman Munna Singh Chauhan told PTI. Attributing Rawat’s defeat to thriving corruption and a strong anti-incumbency, Chauhan said the massive surge of support for the BJP reflected in the trends and results available so far were due to a clear “Modi wave which has only gathered steam over the two-and-half years of his extra-ordinary performance at the Centre”. “People were totally disillusioned with Rawat government under whom corruption flourished like never before and they were desperately looking for change. “Narendra Modi’s style of leadership, his head-on approach towards dealing with corruption inspired confidence among the masses who voted overwhelmingly in favour of the BJP for a clean and accountable government,” he said. It was a vote against the Rawat government’s non-performance, his arrogance and undemocratic approach, Chauhan said. Claiming that the BJP was heading for a massive victory in Uttarakhand, Chauhan said the party was all set to cross the 50 mark in the 70-seat assembly. “It is going to be a historic triumph for the BJP which will win with a four-fifth majority,” Chauhan said.